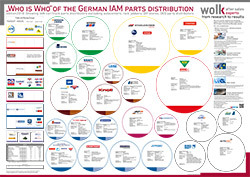 Body and paint shops buy about 80% original spare parts (with the stamp of the car manufacturer) and accordingly 20% spare parts of the independent aftermarket. However, there are big differences between the product groups. This is an essential result of the current study of around 100 body and paint workshops in Germany, which Wolk after sales experts 2017 carried out. The results were also enriched by the information provided by around 350 OES workshops and some 400 IAM mechanics workshops, who in a parallel survey provided information on their body and paint business. 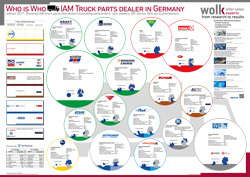 Overall, this gives a comprehensive picture of the market for body works and paintings in Germany. 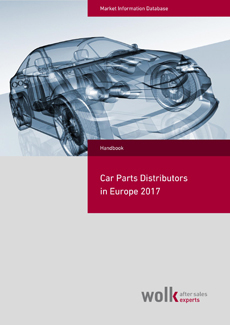 In the area of tension between original spare parts (with the stamp of the automaker) and spare parts of the independent aftermarket, the study provides you with insights into the purchasing behavior of the body and paint workshops, the distribution of sales among the various fields of activity as well as a qualitative assessment of the parts suppliers. Of the body and paint shops surveyed, around half of the respondents were able to increase their sales during the investigation period. However, this also means that the other half had stagnating or declining sales - against the background of a positive economic market development. These workshops run the risk of becoming the victim of a continuing process of consolidation in the market. 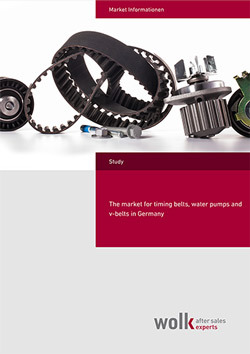 At the same time, the customer structure of parts manufacturers and parts wholesalers changes. All prices are net prices. Customers based in Germany 19% VAT. The sale to private individuals is unfortunately not possible. From the population of all contracted garages and all independent workshops about 120 body / paint shops were interviewed by employees of Riecke Marktforschung in Hamburg via telephone interviews. 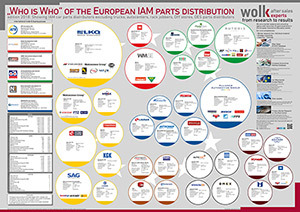 The results were also enriched by data from around 350 OES workshops and around 400 IAM mechanics workshops. The survey took place in the period from November 2016 to January 2017.